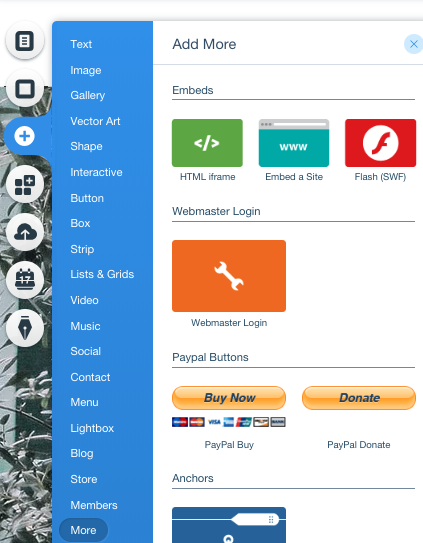 To add a button or widget to your Wix site, you will need to add a tiny bit of code. 4. Next, make sure you're signed into your Wix site and are in 'Edit' mode. 5. In the menu on the left, click on Add (the + symbol), then More > HTML Code. 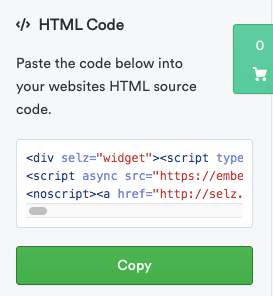 A box will appear for you to paste your code into when you click 'Enter Code' Once you add the HTML code, your widget will appear and you will just need to drag the edges of the box to accommodate the widget's size. 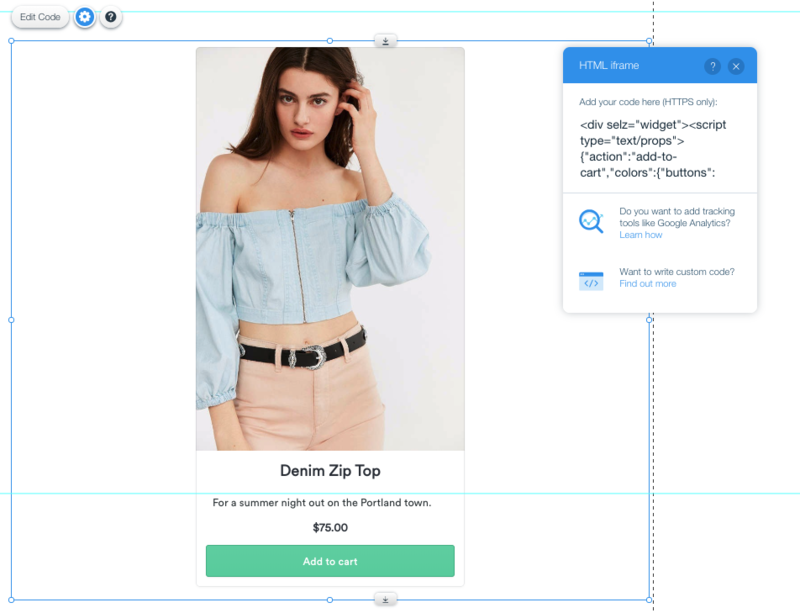 If you are displaying the purchase process in an overlay you will need to account for the size of the overlay window when adjusting the widget size. 6. Publish your page and you're done!